Funeral is Tuesdayin Salt Lake City. Ronald E. Poelman, an emeritus LDS general authority known as a gentle leader who spoke often of service, unselfishness and forgiveness, died Saturday at his Salt Lake City home. He was 83. 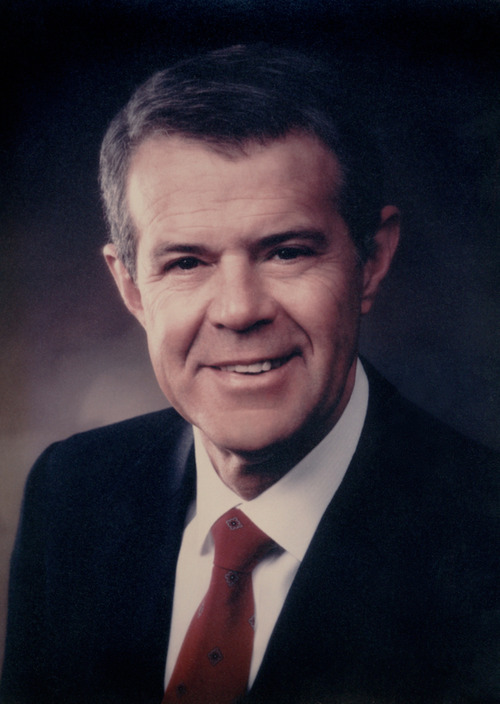 Born and reared in Salt Lake City, Poelman received a law degree from the University of Utah in 1955. Later, he earned a graduate degree from Harvard's business school. He served a two-year LDS mission to the Netherlands, married Claire Stoddard Poelman and together they had four children. She died of cancer in 1979. In 1982, he married Anne Osborn, a professor of radiology at the U. A successful businessman in California, Poelman was tapped to become a general authority in The Church of Jesus Christ of Latter-day Saints in 1978. The self-effacing leader with a whimsical sense of humor was "taken aback" by the call to serve the Utah-based faith in the First Quorum of the Seventy, according to an article in the Ensign, but willingly agreed to serve. During his two decades of full-time church service, Poelman took on the usual assignments of counseling members, speaking to LDS congregations across the country and the globe, and managing institutional departments. In 1984, Poelman's LDS General Conference address became mildly controversial when he tried to make a distinction between the Mormon "gospel" and "church." After some LDS leaders objected to the speech, he revised it and retaped it. Poelman was made an emeritus general authority in 1998 and subsequently he and his wife donated money to the U. for an endowed English professorship.